That could be interesting. So what to do? 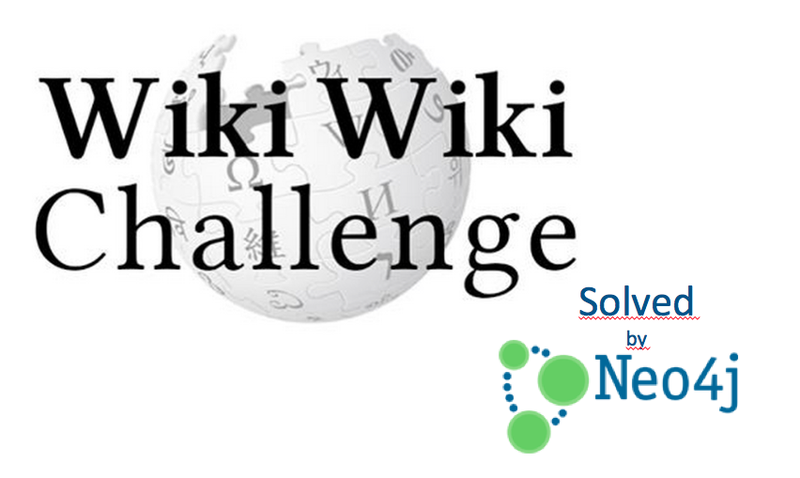 Waste my time browsing through thousands of wikipedia pages? Or use a sharp tool, and use it wisely? 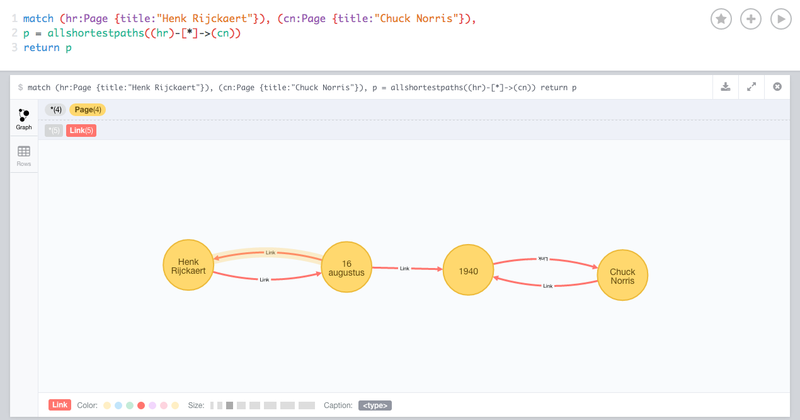 Could that tool be called, Neo4j, by any chance? 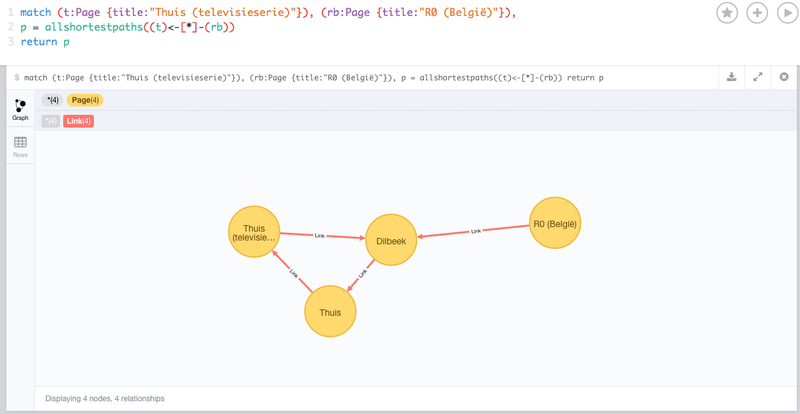 Just quickly browsing through the "Pages" (a label in this database) and the "Links" (a relationship type in this database) gave us a feel for the assignment within Neo4j. 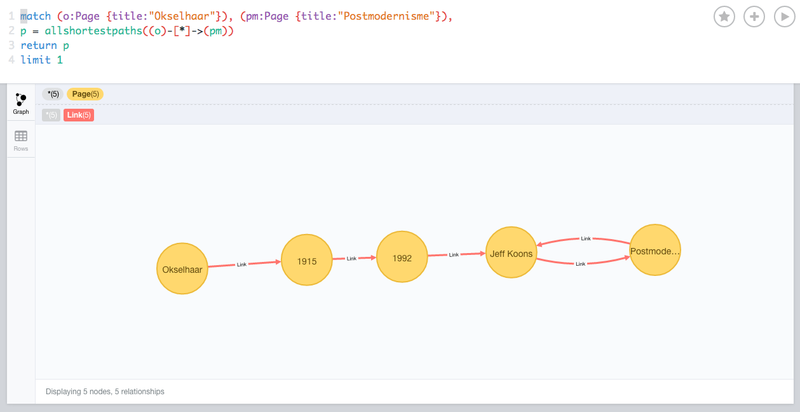 All we needed to do was to grab the two nodes in the Wiki Wiki challenge assignments, and run a "ShortestPath" algorithm on it - which is conveniently part of the Cypher query language. That would be it - so let's try it out. http://nl.wikipedia.org/wiki/Hugo_Claus (he published his novel "Schola Nostra") in that year. and the result is in the city of Dilbeek, where there is a horseriding stable called "Hof ter Smissen" that is often featured in the TV show Thuis. Again: job done! Onto the third (bizarre) assignment! go to http://nl.wikipedia.org/wiki/Jeff_Koons, home page of the artist that created Puppy in 1992.
end up at http://nl.wikipedia.org/wiki/Postmodernisme, which is the style that Jeff Koons is categorized as. And another one bites the dust! One more to go! go to http://nl.wikipedia.org/wiki/1940, the year that Henri Desgrange died on the 16th of August. go to http://nl.wikipedia.org/wiki/Chuck_Norris, who was born on the 10th of March 1940. That was it. 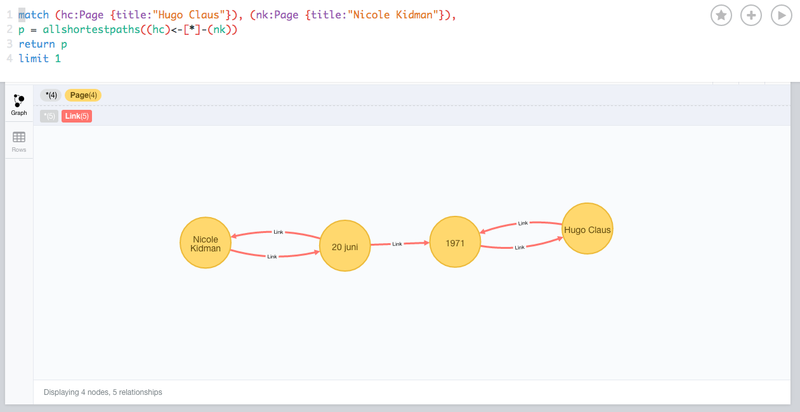 Easy peasy, and very cute to do - even though there are so many very very serious use cases where pathfinding over a graph is actually a fantastic use case for Neo4j. People like TomTom, the Belgian Railroad, UGent, and many others use this capability for very serious use cases - and it is so so powerful. 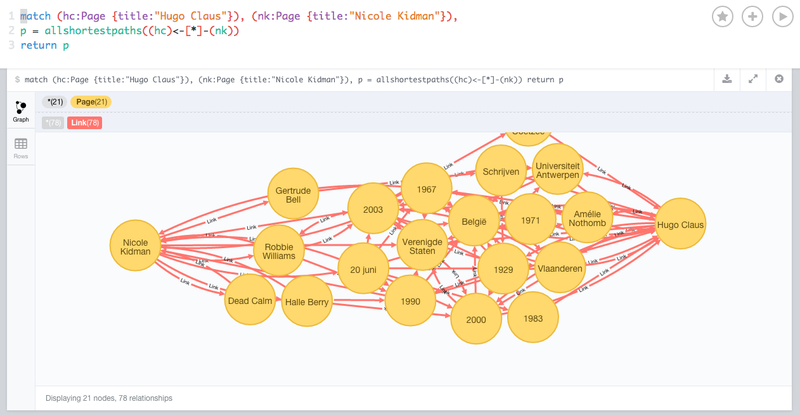 If you want to learn a bit more about similar use cases on Wikipedia, in English, then please take a look at WikiDistrict, developed by Kernix using Neo4j. Hope you found this as interesting as we did.